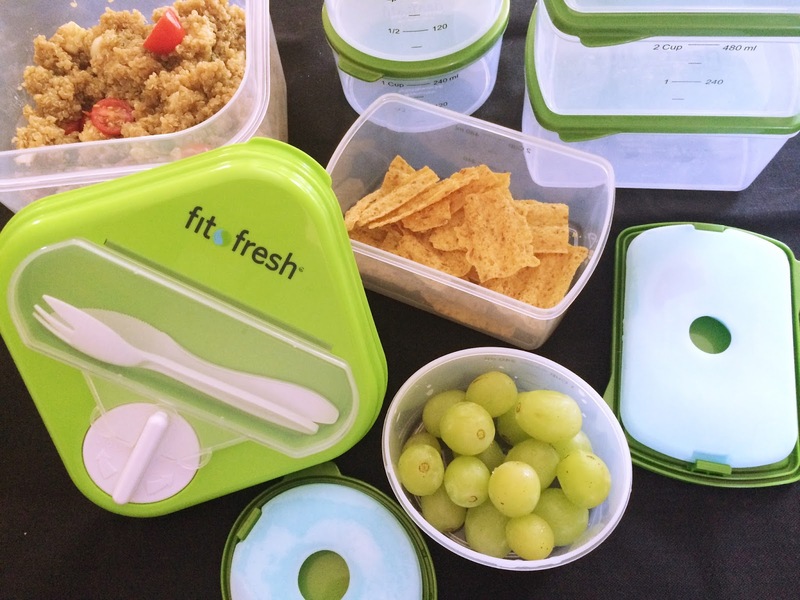 My recipe this week is in continuation of post from last week which was the review for the Fit & Fresh lunch kit. 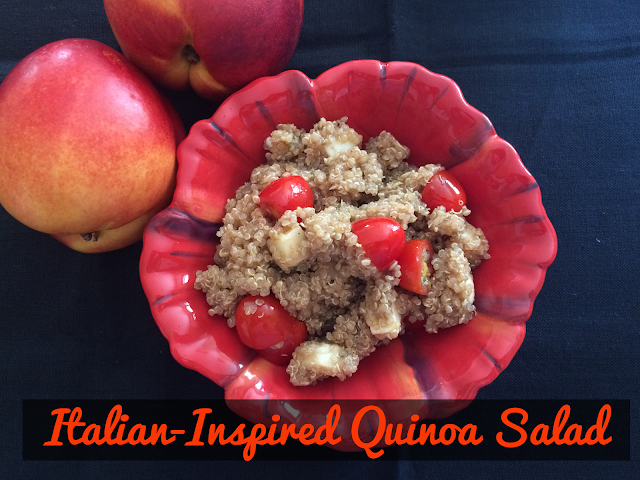 One of the meals I made specifically with the lunch kit in mind is a quinoa salad. I wanted something that could take advantage of the large salad shaker container, but I wanted to try something more inventive than a green-leaf salad. I'm not overly familiar quinoa. In fact, the only other time I've eaten it was at a work potluck when a co-worker brought a quinoa salad with feta and red onions. I've been hearing about this grain as a superfood for years, but the look of it put me off. Hi Foodie Friends! We here at Blog To Taste are always talking about weather appropriate meals. You can see by our posts, how our appetites are influenced by the current weather patterns. And let me tell you, in the event you are not from Portland Oregon, and haven't heard. We are having a super hot summer- and we are even entering our second heat wave this week! In the Pacific North West, it feels like we wait all year to get outside and play, but this year, we're acting like Texans and staying in our air conditioning, and by we- I mean me. I've been following the weather news, and it seems they are attributing the hot weather to something scientists are calling "The Blob". Weird name huh? Anyway, what this means for me, is I spend as little time in the kitchen cooking as possible- and when we need to eat I'm craving salads, sandwiches, BBQ, and food that we can make multiple meals out of. So I thought I's share some good ideas for cool or easy dinners this week. 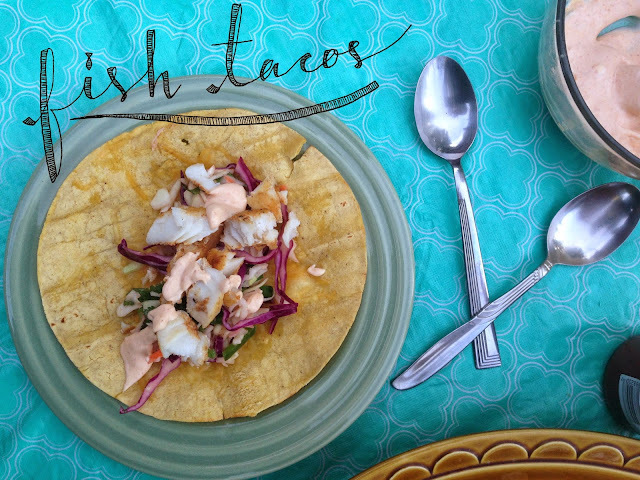 First up, are my Freedom Fish Tacos from last years Fourth of July menu- these tacos are seriously yummy- and easy! We are making them tonight- cooking the fish on the grill and chowing down on the patio. Bonus tip: fish tacos and great paired with beer! Helllllloooo foodie friends! Did anyone else feel like Monday was more hectic than normal? I just started a temporary position at work that has me working Downtown Portland, and let me tell you, it's literally like Aladdin: a whole new world. I'm a simple boy, I grew up in a small suburb (like less than 10,000 people), and I like things that are little bit slower. Because it was so crazy, I just needed something simple for dinner. 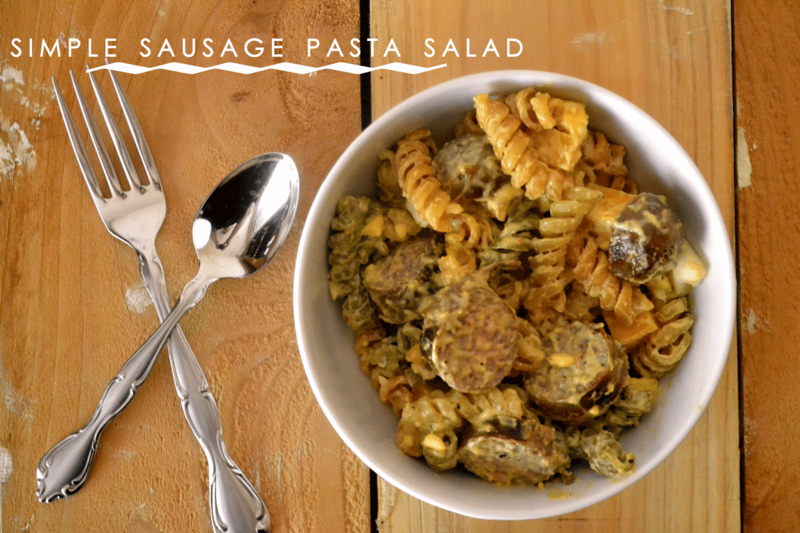 While riding home on the WES I decided a pasta salad would be the perfect easy meal for dinner, and I knew exactly what I was going to put in it! This recipe takes next to no effort (aka perfect weeknight at home dinner) and is filling, tasty and full of flavor. Hey y'all, I figured it was time to eat a summer salad, because let's get real, we Oregonians are just not suited for the heat we have been getting lately. The first think to go in my house, is cooking, and eating anything with heat applied. That's why summer salads are so great! This recipe is one that I cannot take credit for myself, instead I found it on Food.com. A couple years ago I had a delicious israeli couscous salad, and I had been looking to reproduce it ever since. 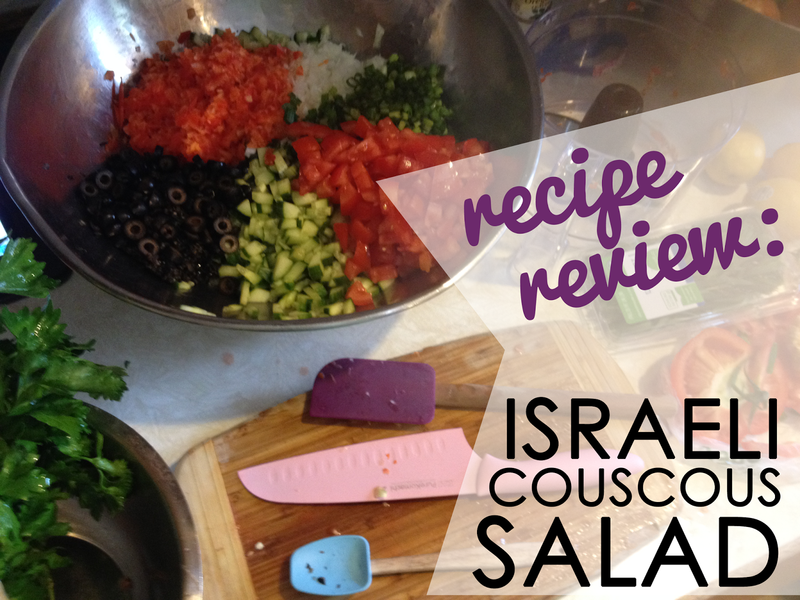 You can follow the recipe below, or check it out at it's original source here. Well today on the blog we are doing something entirely different- our first sponsored post. Attune sent us a set of their non refrigerated chocolate bars (read: they have ones that are kept refrigerated) with probiotics, and we were happy to sample them! Attune's motto is: "Simple ingredients. Simply made. ", and I think that is something we all like to hear. Happy Monday foodie friends!! This heat is officially putting me through it. I have a hard time wanting to eat anything heavy because it seriously just hurts in 97˚ weather. If you're like me maybe a nice wrap sounds good to you. 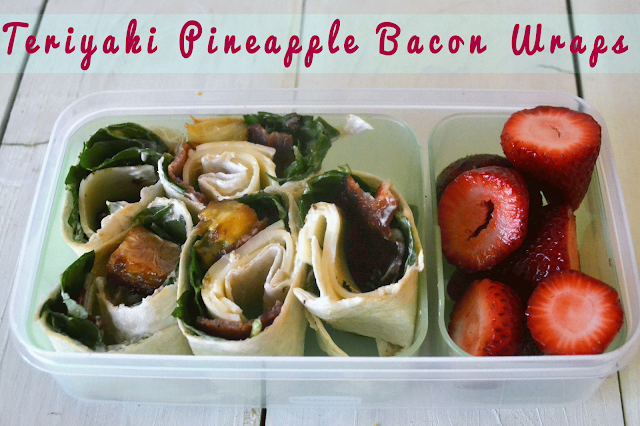 How about one with a little bit of bacon and pineapple? Sold? Me too! Ahhh, the 4th of July. A time for food, friends, and fireworks. Out here in the wild west, Molalla, OR, we celebrate Independence Day in a big way. We have a big parade that shuts down the city, we have rodeos for days, the church fries up a ton of chicken, and we top it all off with a huge firework show. Even though I'm not a fan of the rodeo, I partake in certain 4th of July festivities. My fellow food blogger, Warren, and I have a tradition of watching the parade and grilling brats in my backyard. Food is an important part of any 'murican celebration. 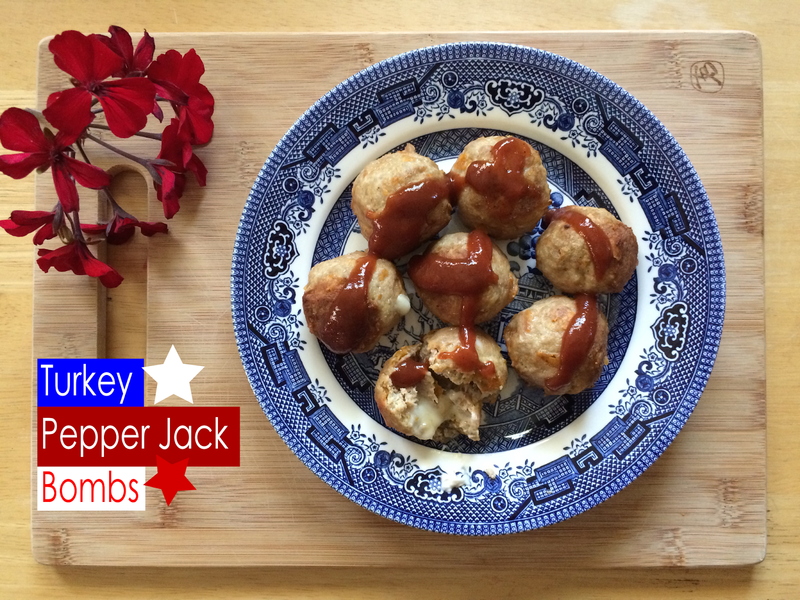 For my 4th of July-themed post this year, I decided to cook up something that embodies the explosive fun of Independence Day. My Turkey Pepper Jack Bombs are filled with a melty pepper jack cheese and surrounded by a crispy dorito shell. They have a little bit of spice, a little bit of sweet, and a ton of flavor. Happy hump day foodie friends! The Fourth of July is Saturday, can you believe it?! IT'S JULY! 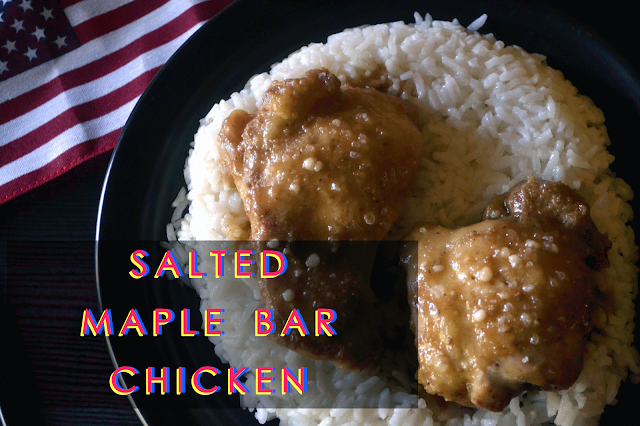 One thing I'm considering taking is this Maple Bar Chicken I just put together in my head. First, I know this sounds weird. I get that. I feel like I have that disclaimer on here...a lot. Second, lately I have been in the mood to eat maple bar doughnuts, so finally I got myself one the other day. While I was eating it I of course couldn't help but think of the Maple Bacon Bar and all of its spin-off items. I thought, "Why not chicken?" I knew I couldn't put the chicken on the doughnut (ew), so I put the doughnut...on the chicken. Thus a star of the kitchen was born.